Principal Cast : Bill Milner, Maisie Williams, Miranda Richardson, Rory Kinnear, Jordan Bolger, Charley Palmer Rothwell, Armin Karima, McKell David, Shaquille Ali-Yebbuah, Aymen Hamdouchi, Leon Annor, Petrice Jones. Synopsis: After an accident, Tom wakes from a coma to discover that fragments of his smart phone have been embedded in his head, and worse, that returning to normal teenage life is impossible because he has developed a strange set of super powers. The best science fiction films often work with the simplest of premises. 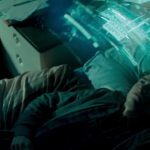 iBoy, a vaguely sci-fi thriller of sorts, works off the premise that a kid, Bill Milner’s Tom, has parts of his smartphone embedded in his skull, allowing him to “tap into” technology and become a mysterious vigilante known as “iBoy”, tracking down the perpetrators of a violent sexual assault involved with drugs within a London estate. It’s a tech-infusion fantasy, with grungy low-budget British criminality washing out the cleverness, a gritty, Batman-esque realism that rumbles along quite nicely until the mother of all WTF plot twists that absolutely makes no sense whatsoever, ruins the movie. Tom (Milner) and Lucy (Maisie Williams) live on a run-down London estate, corpulent with drugs and crime. One night, Tom is heading over to Lucy’s when he chances upon a gang leaving her apartment, having just raped her. Fleeing, Tom is shot; waking up days later, he learns part of his phone has become embedded within his skull, burrowing into his brain. He soon learns that he has the ability to tap into the online world, accessing cellphones, internet and secure access. With this power, Tom discovers the identity of Lucy’s attackers, and begins a vendetta to find out how high up the gang operates. His activities draw the attention of drug kingpin Ellman (Rory Kinnear), who recognises in Tom a unique opportunity to cash in. iBoy is weird, and almost excruciatingly so. I found it somewhat cool, but I could understand some people’s possible problems with it; it’s not the most accessible film, its hero is fairly brooding and impenetrable, the villains largely generic (did Guy Ritchie produce this thing?) and the romantic subplot never quite gels. 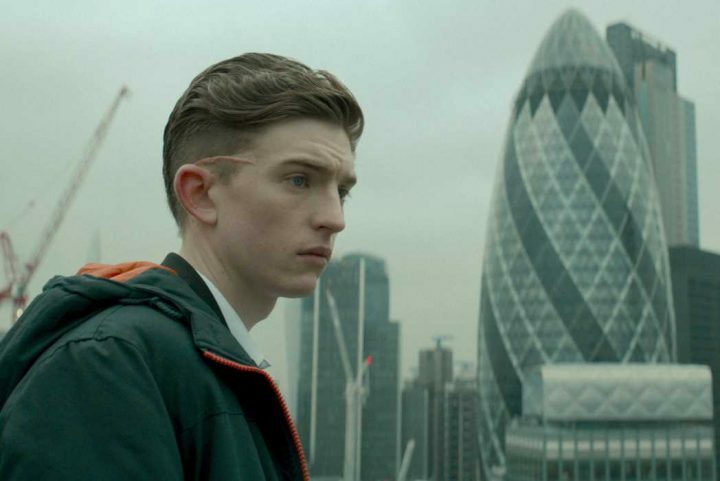 Adam Randall, whose previous effort, 2016’s Level Up, did mild business, gives iBoy a real melancholy dispiritedness that, on reflection, is really rather depressing. As a hero, Tom makes the most inconsequential seem positively life-changing: he’s quite, sullen, seemingly angry almost all the time, and his motives for revenge, while obvious, never manifest as quantitatively forceful. I guess this is what makes teens these days relatable, but for me, the film’s quirky sense of relationships – especially between Tom and Lucy – are lumbered with an oppressive sense of dismal fatalism. The opening half of the film is built solely on Tom’s revenge plot against Lucy’s attackers, who happen to be boys from his residential estate (and by estate, I mean a cold grey slab of concrete and awful that wouldn’t look out of place in a Judge Dredd film), with his powers growing as time goes on. Exactly how his powers manifest isn’t explained – nor are they particularly limited to the prowess of a standard issue smartphone, to be honest – but if affords the film some cool set-pieces that play more as horror film stuff than sci-fi thriller. Tom’s ability to mentally “hack” into people’s lives through electronics is well handled, with on-screen graphics displaying what he “sees” in his head as he brain-texts people to get the information he needs. It’s a cool visual cue, and one used extensively in the film, but it never feels overdone. Generally, the film moves along quite well. Despite the oppressive tone, iBoy delivers on its heady promise and fantasy wish-fulfilment, executing most of its twists and turns with skill. 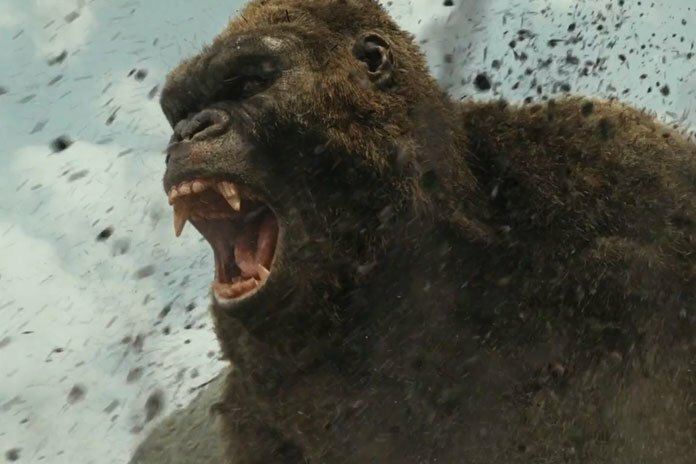 Trouble is, there’s a mid-film leap in logic than just cannot be overlooked. Tom begins to unravel the plans of heavy-set drug lord Ullman, played with teeth-gnashing cruelty by Rory Kinnear, but they never meet. Suddenly, Ullman and his thugs show up at Tom’s apartment and reveal they know all about his mysterious powers – despite Tom never revealing that crucial piece of information to anyone. An off-hand line about his friend believing he might be the mysterious iBoy vigilante is given to explain it but the fact remains that Tom’s identity as iBoy is ripped asunder simply for the sake of convenience than any legitimate plot manoeuvre. I honestly thought I’d missed a bit of the movie somewhere, but double checking revealed I hadn’t. D’oh! This aside, iBoy is really rather decent, although it will come with plenty of detractors. 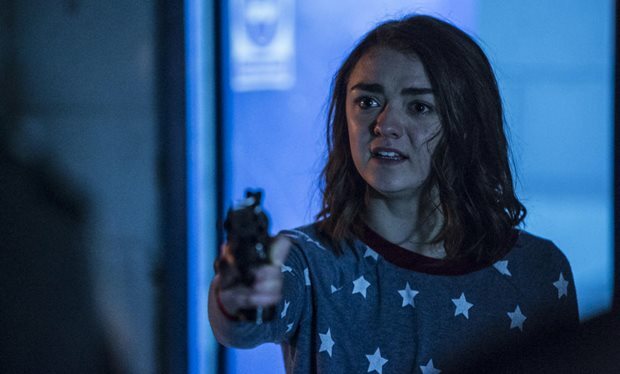 A stifling sense of nihilism and an almost vicious use of nighttime photography and dark, dank locations make iBoy a real chore to watch from a visual standpoint, but the solid performances from Bill Milner and Maisie Williams, together with typically British production design, make the film teeter on being good. Not for everyone, there’s stuff to unpack here but one has to question whether it’s worth the effort to do so.